A baby bubble with a sassy style and unique embellishing! Simple bubble pattern design with shoulder ties, fabric yoyo trims and rickrack flowers. Bubble sides flare and has side seam pockets, buttonhole beading with ties trim the shoulders and at the pocket openings. Complete sewing and embellishing instructions included. Sorry, wide stripe seersucker fabric no longer available, we suggest any classic gingham or stripe fabrics to make the bubble pattern. 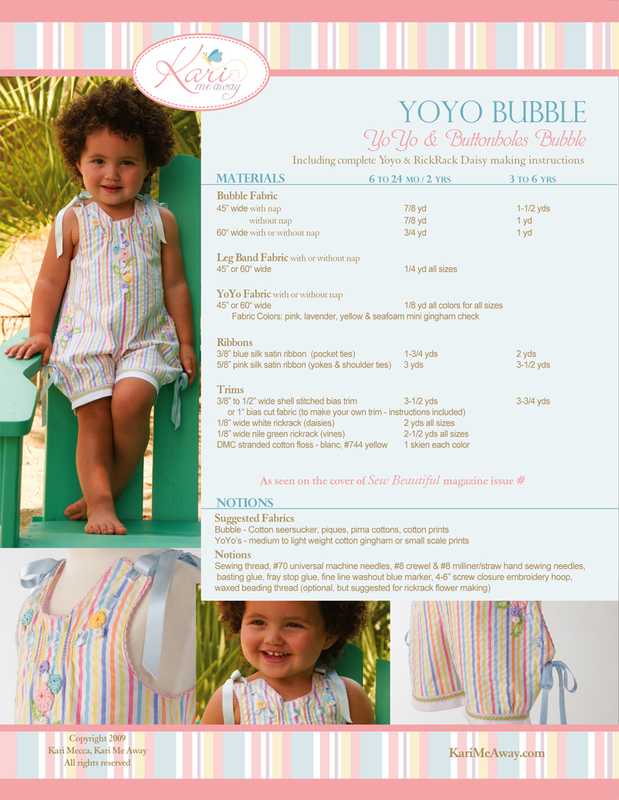 Pattern sizes 12 months to 6 years in one package.